The recent acts of violence against innocent people have, at times, sucked the life out of me. They have left the world colorless and wanting for meaning. It all confuses and disturbs me. I cannot talk about it. I cannot think about it. I've taken refuge in my artwork. One cannot help but imagine this escape has been used for many generations. And so my tradition has layers. I've chosen the familiar 9-patch as something of comfort. With a long history (by American standards) in American patchwork, the 9-patch dates back to the early 1800s. A common pattern in Amish quilts, it has many simple variations. And as an aside, so simple it was the first pattern I ever created a quilt from - for my newborn son (who, unbeknownst to me, at the time, would turn out to be twins :) born 36 years ago tomorrow. 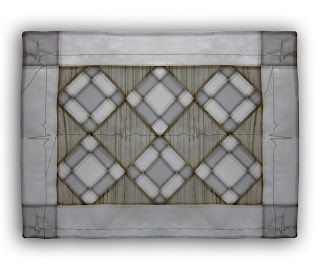 The hand-stitched EKG is my meditation and resurrection as I stitched myself back to life. To resort to the familiar, the redundant, to calm the spirit, center oneself and bring us peace. 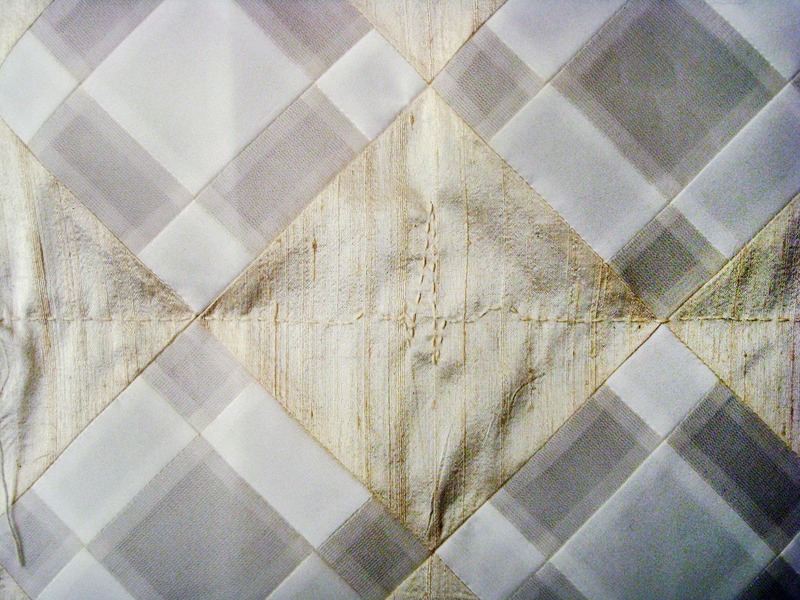 "sucked the life out of me" is my modern interpretation of a traditional quilt pattern, created from with silk organza, habitai, and dupioni fabrics, machine pieced and hand quilted. 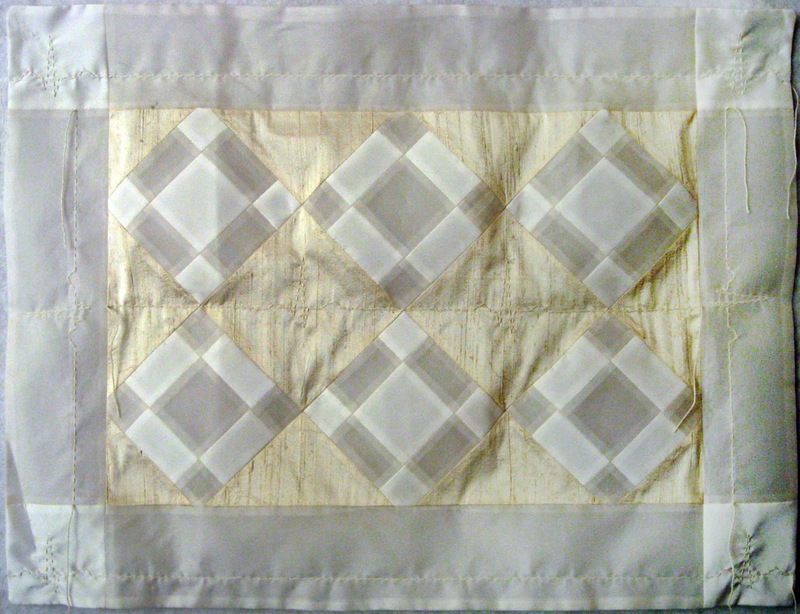 This experience gave me a profound respect for traditional quilters as many facets of this "simple" design were technical challenges to me. I imagine creating the precise points and dealing with fraying fabric when creating such a thing 200 years ago and I'm in awe! Thank you so much Martha - this work blew me away. I truly believe in quiltmaking as meditation and a perfect activity to process both the tragic and the joyful in life. I see it in your quilt and this is going to stay with me for a long time. I look forward to more pictures. Take care, Byrd.